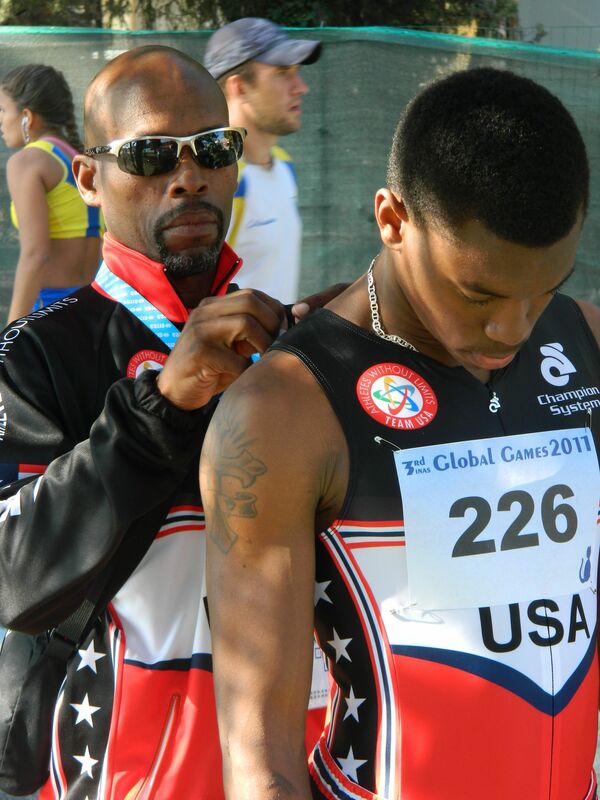 October 26, 2011 – Athletes Without Limits has partnered with Champion System Worldwide Custom Technical Apparel, as official clothing supplier for 2011-2012. Athletes Without Limits works to help athletes with intellectual disability integrate and accelerate in sports and in life and together with Champion System will work to raise awareness and promote inclusiveness in sport for individuals of all abilities. In addition to supplying the technical gear for the 2011 Global Games US Team athletes participating in cycling, rowing and track and field events in September, by late fall 2011 Champion System will also make available an array of Athletes Without Limits gear and clothing available to the public at its online store, with the profits going to Athletes Without Limits. View photos of US Global Games team members in their Champion System apparel. Watch for updates in the Athletes Without Limits Team Store. New York, NY (October 26, 2011) – Champion System, an industry leader in custom technical apparel, is proud to partner with Athletes Without Limits, a nonprofit organization responsible for helping elite athletes with intellectual disabilities achieve the highest level in sport, as their official clothing supplier for 2011-2012. Athletes Without Limits works to help athletes with intellectual disability integrate and accelerate in sports and in life and together with Champion System will work to raise awareness and promote inclusiveness in sport for individuals of all abilities. With 2012 marking the first year in over a decade that athletes with intellectual disabilities will be included in the Paralympics Games, Athletes Without Limits, the sole U.S. Member of INAS, plays a pivotal role in the eligibility process and increasing opportunities for U.S. athletes with disability. Inspired by one athlete who had a dream to compete at the highest levels possible, Athletes Without Limits was established in 2009. Since then Athletes Without Limits has helped athletes compete at events across the country and around the world, including most recently INAS Global Games, the world championship for athletes with intellectual disabilities, and a precursor to the London 2012 Paralympics Games. In addition to supplying the technical gear for Athletes Without Limits sports such as cycling, rowing and track and field events, Champion System will also create a line of Athletes Without Limits-inspired gear and clothing available to the public at its online store, with all proceeds going to Athletes Without Limits. To purchase Athletes Without Limits gear and show support for this effort, visit www.champ-sys.com (late fall 2011). For more information on Athlete Without Limits, please visit www.athleteswithoutlimits.org.